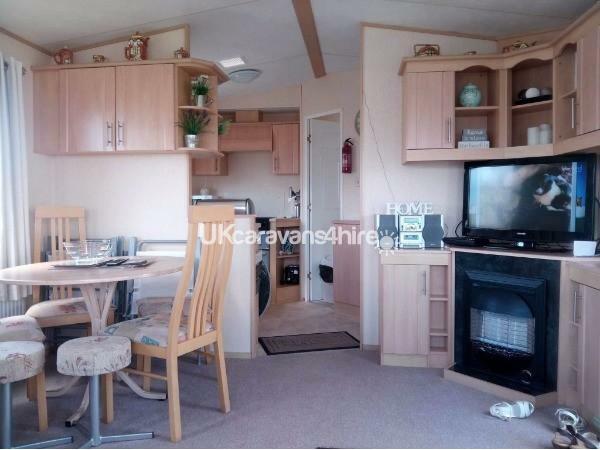 Additional Info: ironing board, HI-Fi, Mini electric oven, hoover, outdoor seating and table. No stag or hen parties to be taken place. 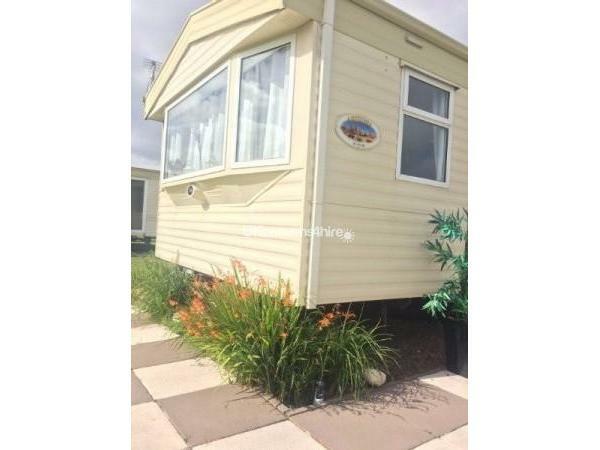 This caravan is located in Sandy Bay caravan site. The site has undergone refurbishments to the clubhouse and bar area in the last 2 years. 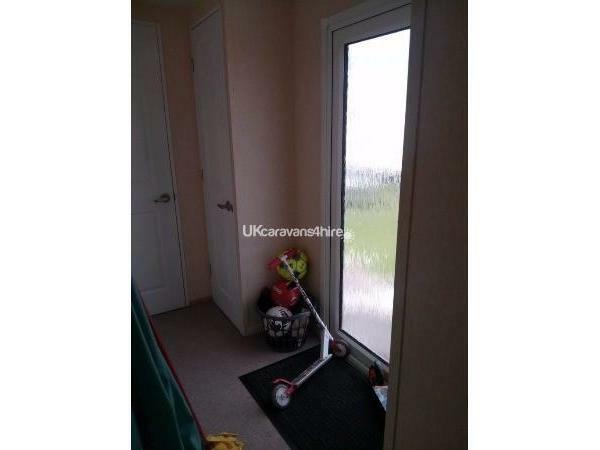 The caravan is fully gas central heated and double glazed. We also provide electric fires and there is a gas fire in the living area so no problem of being cold if weather is bad. 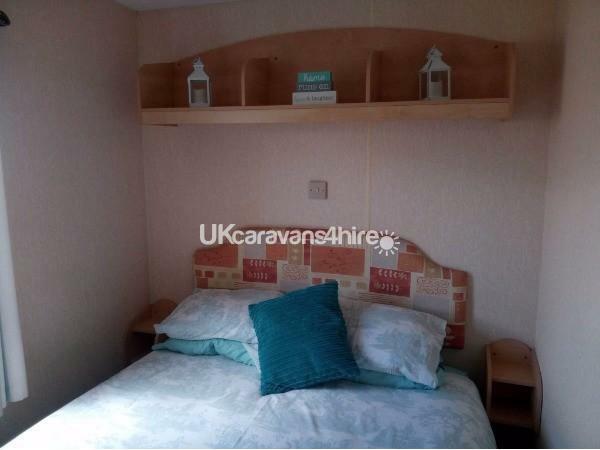 The Caravan is a roomy 3 bedroom with additional sleeping facilities in the living room the sofa pulls out to a double bed, it has recently had a brand new mattress fitted. 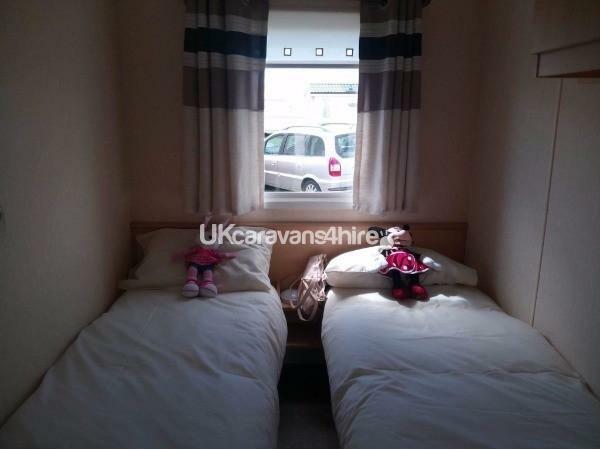 One bedroom has double bed, the other 2 bedrooms have 2 single beds but beds can be moved to make doubles. 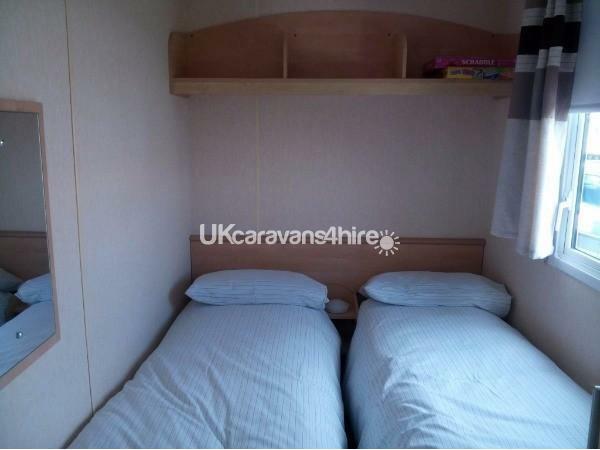 Each bedroom has a wardrobe, overhead shelving, side tables, electric sockets and gas radiators fitted. 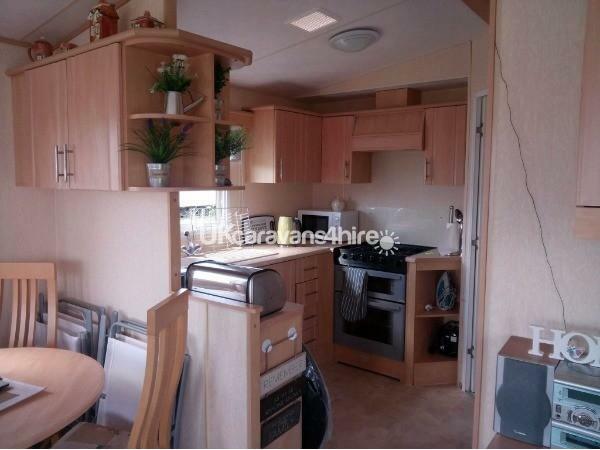 The kitchen is fully equipped and has recently had a new cooker installed, there is fridge freezer, microwave, mini electric oven, toaster, and clothes horse, ironing board and iron. 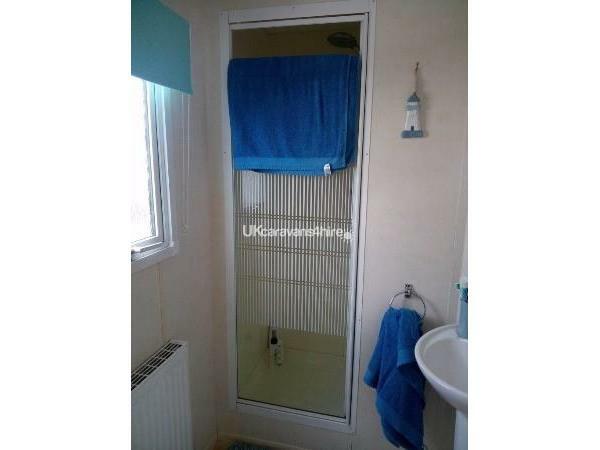 Toilet rolls, cleaning materials, bed linen and tea towels are provided. Living area has a flat screen TV, DVD player dining table chairs and ample seating area. Gas fire and gas radiators. There is a small table and chairs for outdoor use but needs to be brought in at night. WiFi available from reception for a small charge but free usage in entertainment complex. 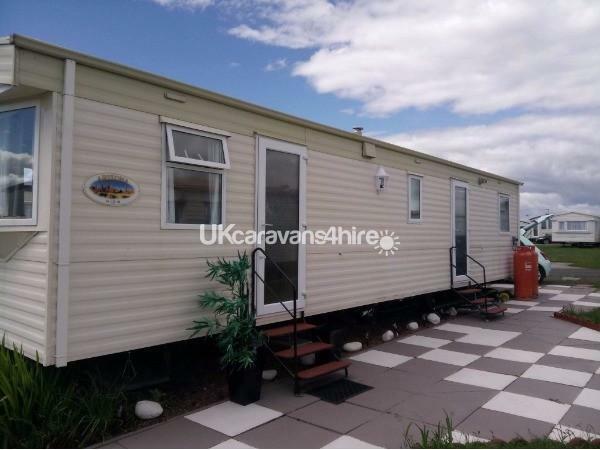 Gas and electric included within the cost of the caravan. £50.00 deposit required to secure booking non refundable if booking cancelled. 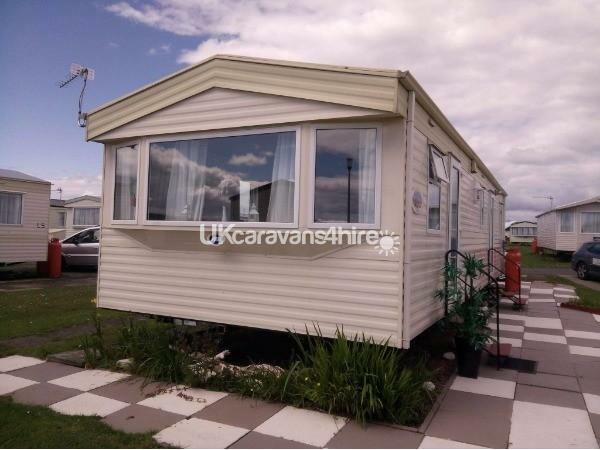 £50.00 refundable charge to secure against any damages will be refunded when caravan checked prior to departure. Booking in times and departures by arrangement and can be flexible. Additional Info: The park has recently refurbished the club house bar and restaurant. There is a small soft play which is free of charge. There is a fully heated swimming pool which has regular pool activities daily at a small charge. There is a football/ basketball court. There is a shop and fish shop on site. Local takeaways nearby who will deliver for a small charge. No reviews found. 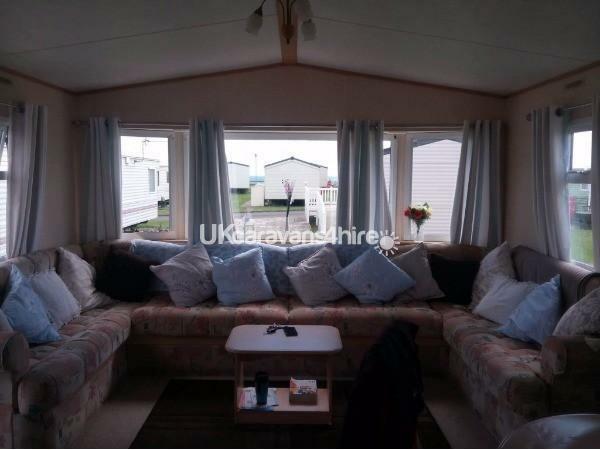 If you have recently stayed in this holiday home please leave a review, it only takes a few moments and will really help future guests when they are searching for holiday accommodation at Sandy Bay.